A new contemporary art museum is opening in Cape Town in 2017, in the historic Grain Silo at the V&A Waterfront. The museum is expected to cost over R500 million for the development, but from the pictures released so far, it looks like it will be worth every cent! The Grain Silo is a fascinating structure that was built in the early 1920s. Standing at an impressive 57m tall, it is an integral part of the Cape Town skyline. Transforming this structure into a world-class art museum is sure to breathe new life into the beautiful old building. This entry was posted in ART EXHIBITIONS on November 2, 2016 by An African Villa. The Stevenson is a short taxi ride from An African Villa – if our staff has booked you into The Pot Luck Club nearby this gallery, why not take in the exhibition on the way home? This entry was posted in ART EXHIBITIONS on January 14, 2016 by An African Villa. n National Gallery – walk there from An African Villa and have lunch or tea afterwards at the lovely Company’s Garden Restaurant? Studio brings the notion of the artist’s workspace as a centre of creativity into the very heart of the art museum. An active workspace for young people that complements an exciting display curated from the holdings of the Iziko Art Collections department forms the basis of this initiative. Facilitating an active engagement between art educators and curators, as well as between South African contemporary practice and art history, the project aims at creating a space for learning and fresh visual expression on the part of our South African youth. Kemang Wa Lehulere’s inaugural exhibition, History will Break your Heart, opens at the Iziko South African National Gallery on 19 November. 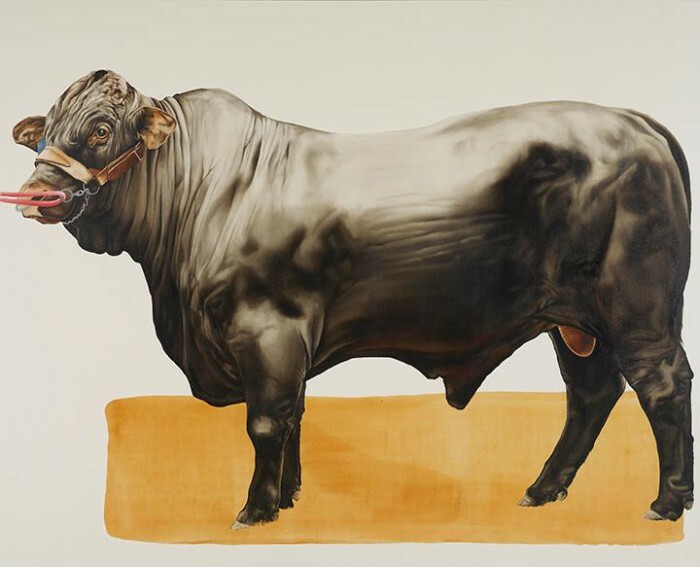 Wa Lehulere is the 2015 winner of the Standard Bank Young Artist Award for Visual Art. Kemang Wa Lehulere’s work finds its form in several media, including installation, text, video, drawing and performance. His work engages with the spaces between personal narrative and collective history, between processes of amnesia and archive, all the while transitioning between a dream state and an insomnious reality. History will Break your Heart is an exhibition that takes its cue from the work of Gladys Mgudlandlu, Ernest Mancoba, RRR Dlomo and Nat Nakasa. Looking at these deceased South African-born artists and writers, Wa Lehulere creates a fractured narrative in an attempt to recall past moments, artworks and literature as a way of rethinking the present. Employing strategies of re-enactment, the exhibition consists of Mgudlandu’s and Mancoba’s work in relation to Wa Lehulere’s.